THIS ARTICLE WAS FIRST PUBLISHED IN EHS TODAY MAGAZINE, MAY 2011. Did you know …that Hispanics comprise the country’s largest minority? Even without continued immigration, the fertility rates of Caucasian vs. Latina women in the U.S. are skewed toward increasing numbers of Hispanics. The majority are young. These youths will revitalize the workforce. As they become older, earn higher salaries, and adopt mainstream buying habits, they will command higher levels of purchasing power. They are a force to be reckoned with. Did you know …about the “healthy immigrant” phenomenon? Immigrants from Latin America arrive healthy but the longer they live in the U.S., the more bad habits they assimilate. They begin to eat a less healthy diet. They consume more fast food and less fresh fruits and vegetables. Some women begin to smoke after becoming acculturated. Consequently, they increase their chances of contracting such diseases as diabetes, high blood pressure, and heart problems. This has major implications for health care and for health education. Did you know …that family is the top priority for Hispanics, over and above work? This may explain random absences from work. When a child is sick, the family accompanies her to the doctor’s office. Family life is the equivalent to social life. When family is defined by extensive networks, the calendar can be filled with an endless number of occasions such as birthdays, weddings, graduations, baptisms, anniversaries and quinceañeras (“sweet fifteen” parties). Remember how strong Latino family unity is when planning company recreational events. Did you know …that Latin Americans use both their father’s and their mother’s surnames? Imagine the problems arising from mistakenly reversing the order of the names. Ana María García Sánchez’s personnel and medical files should be placed under “G” for García, not Sánchez. Her husband’s name will be different, as will the last names of their children. A simple hyphen can prevent filing mistakes. Did you know …about the east coast/west coast divide between Hispanic groups in the U.S.? Most Cuban Americans have settled along the east coast of the United States. Most Mexican Americans populate the west coast and border states. The differences between these two groups go deeper than geography; there is a socio-economic and cultural divide. The more educated of these two groups are the Cuban Americans. They have statistically achieved a higher level of financial and professional success. In business, bilingual Cuban Americans are often identified to supervise Mexican and Central American Spanish-speaking employees, but they are reluctant to relocate across the country because their families live on the east coast. Did you know …that in Mexico, “seguro social,” which we call social security, is actually the name they use for their system of government health insurance? This could lead to confusion when describing social security pension costs and benefits to recent immigrants. Did you know …that many poor Latin Americans don’t have bank accounts? That many have never applied for a car loan or owned a house free-and-clear? Introducing new immigrants to U.S. banking practices needs to begin at the most elementary level. This would make an excellent addition to a job orientation for a first-generation immigrant Hispanic workforce. Did you know …that instead of resenting uniforms, many Hispanics feel that uniforms give a person a professional look and feel? Especially uniforms which are clean, well cared-for and freshly pressed. A dress code serves as a visual display of the status and responsibility of each level of hierarchy on the job. On one occasion, I was hired by a cookie factory to act as interpreter during a union campaign. It was a critical moment for management to make special accommodations for their Spanish-speaking employees so to communicate their message effectively. Hispanics represented about one-third of their line workers. The union campaign may have been the catalyst for management at the factory to refocus their efforts on improving satisfaction levels among their Spanish-speakers, largely of Mexican origin. They did appreciate these employees. The manager found them to be tireless workers; consistent performers; compliant to instructions; and having a solid work ethic. He subsequently hired me to translate the company’s standard operating procedures into Spanish. The janitor had been thoroughly instructed about company policies and their wage step system. He wasn’t really asking for a raise. After some digging, we came to discover his real motivation. The janitor’s wife also worked for the cookie factory, in one of their offices. She was taking home a higher salary than her husband. In a machista culture, the male is supposed to be the bread winner. It was embarrassing for him. In his role as janitor, he would never advance through the salary steps to surpass her income. His wife’s earning power was, of course, a benefit to the entire family. Overcoming cultural prejudices to convince the janitor of these advantages would not have been an effective strategy. Reducing her salary to offset it with higher benefits would violate HR policies, as would arbitrarily raising the janitor’s salary. But he could train for a higher-paying position at the factory. Perhaps he would like to work overtime hours. Once a problem is identified, it’s often possible to find obvious or creative alternatives. For example, management lacked the ability to read the true feelings of their Hispanic workers. This was not due to linguistic differences. These employees didn’t make complaints; neither did they share their opinions. Acquiescing to the boss was culturally comfortable. Challenging a supervisor’s authority was outside of their comfort zone. For management to solicit input, they would have to do it indirectly by identifying the dominant group leaders and gathering information from these spokespeople. Another strategic tactic to improve communication would be to hire bilingual staff, or at least provide part-time bilingual services. Management’s decision to provide translations of factory instructions was a good start. These manuals, however, used very complex language. Providing simpler instructions in both languages would make them more useful, and safety protocols easier to follow. Spanish-language signage in critical areas along the factory floor would help improve safety as well. On-going Spanish-language training for supervisors and, conversely, English language instruction for employees could be explored. English lessons, if after hours, might include family members. The apprenticeship model is very familiar to Latin American workers. Therefore, mentor programs which match culturally knowledgeable counselors with Hispanic employees would help to advance them in their jobs. Employee appreciation programs are great morale boosters. One element of such programs that is sure to curry special favor with Latinos is awarding frame-worthy printed certificates of accomplishment. These resemble college degrees, which some workers might never aspire to obtain. To be sensitive to the characteristic sense of humility and communality of Hispanic peoples heavily influenced by indigenous origins, it’s better to grant team awards instead of touting the accomplishments of individuals. 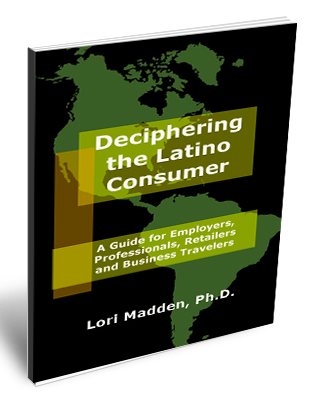 These are a few ideas to help improve the satisfaction levels of your Hispanic employees. And why is it important to provide a Hispanic-friendly work environment and what are the benefits? In a word, loyalty. Latin American societies have historically exhibited a paternalistic paradigm where the patrón, or boss, provides for the welfare of his workers and in return he receives their absolute allegiance: at work, in the community, in politics, and for better or worse, even in union campaigns. Couple this with another commonly shared trait, commitment—to an ideal, to family and friends, and to the employer they consider their friend and ally. Your loyal employees will become loyal customers as well as advocates for your brand’s products or services. 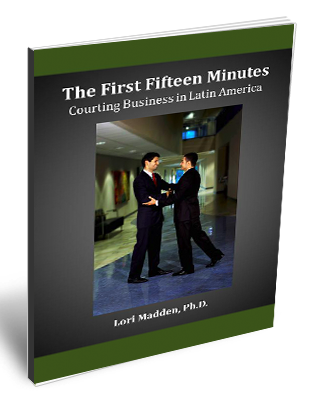 You will have created lasting and mutually beneficial relationships with your Latino employees. There’s a lesson to be learned. Understanding cultural context gives us greater insight into human behaviors. It is when we discover the underlying motivation for behaviors that we can act to improve communication, enhance employee satisfaction and successfully integrate diversity into the work culture. Become culturally informed. Copyright © 2011. NOT FOR REPLICATION WITHOUT THE PERMISSION OF EHS TODAY MAGAZINE.